Imagine a quiet beach, the gentle rolling of the waves and wild horses running freely. A morning hike brought your group here, and everyone will spend the night right on the beach. This is precisely the scene eleven Malone students will find themselves experiencing during spring break. Tanya Hershberger, leader of the outdoor club, and Sara Huffstetler, senior creative writing major, will be co-leading a backpacking trip to Cumberland Island in Georgia February 27 to March 6. The group will be sponsored by the Malone University Outdoor Club. Hershberger said students are naturally drawn to beaches and islands, especially in February. This trip will include plenty of both. Participants will spend most of their time backpacking and learning along the trails. They will also encounter new wildlife, which Hershberger hopes will initiate mutual teaching moments within the group. Participants come from a wide variety of majors including communication arts, creative writing, zoo and wildlife biology, and education. They carry with them an array of experiences, but are bound by a desire for adventure. The trip provides students with a safe environment in which to explore, rest and grow in their faith. It also includes packing lightly. Hershberger said all the supplies students will need for the week will fit into their backpack. Clothes, jackets, food, water purifiers, tents, tarps and toiletries will all be carried from location to location each day. The trip is intended to be an exercise in leading a more natural lifestyle, and encourages participants to be self-sufficient. Hershberger said it is freeing not having to worry about being complicated. In fact, practicing simplicity can be a kind of spiritual discipline. Angel Butler, junior communication arts major, who will be partaking in this trip, said she enjoys the relaxation of backpacking. Butler said the protocol for past trips has been going to bed at 7 p.m. and sleeping until 6 a.m. No one questions it, and she’s always felt prepared for the day ahead. 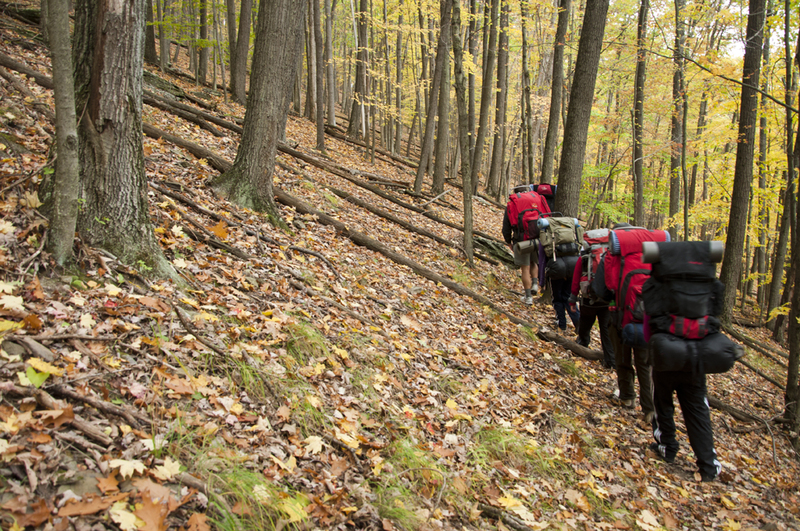 Students will begin their trek by traveling to Ligonier Camp in Pennsylvania for team building exercises. From there, the group will drive to the Georgian islands known for their wild horses. Butler has backpacked with Hershberger before, and she said it is worth the effort. The annual backpacking trip will provide new memories for Butler, and she hopes others will consider joining the adventure next year. Perhaps then, more students will find themselves actually watching a seaside sunrise, rather than only dreaming about it. Alicia Meyer is a staff writer for The Aviso AVW.